The best place for digging the sump is the North-east of the plot. This leads to increase in wealth, prosperity and knowledge. While digging the sump, an axis should be drawn from the Northeast corner to southwest corner. 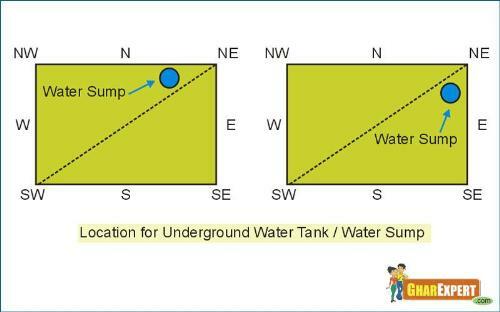 The sump should be dug to the right or left side of axis. The sump in east of northeast is most beneficial and the sump in north of northeast is also good.